Here I was a year ago, shopping the produce department of the now departed Hiller’s Market (stores were sold to Kroger, boo!). As I am browsing over by the berry and grape refrigerated section my examining eyes catch the glimpse of a colorful brochure. 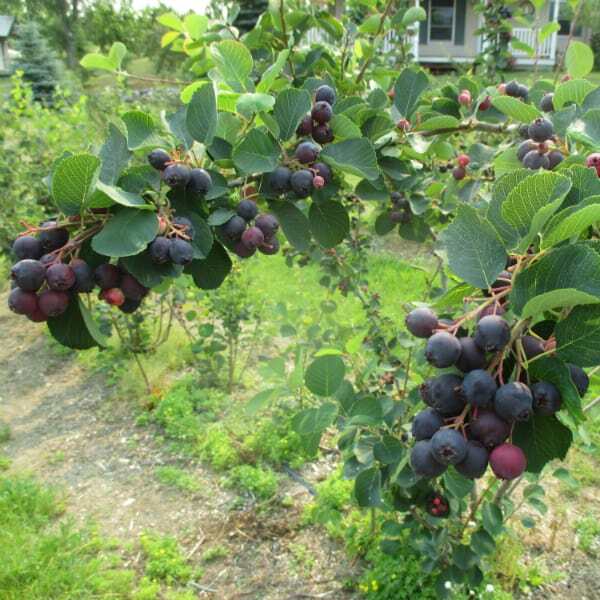 Nearby are small clamshells of berries labeled Saskatoon berries. Had never heard of them before but was attracted to their grown in Michigan status. Brought some home for family to try. My wife fell in love at first bite – she says they have better texture and taste than a blueberry. Even thought it may look like sort of like a blueberry is doesn’t taste like one. 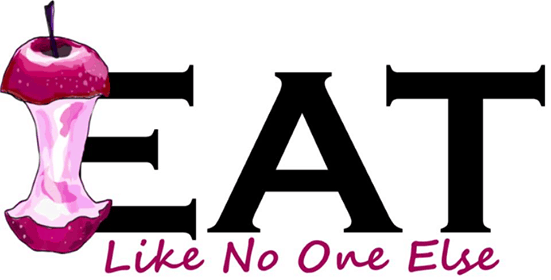 You will have to seek them out to try them yourself. I have shared them with many people and have heard people saying the flavor had notes of cranberry, almond, plum, and concord grape. 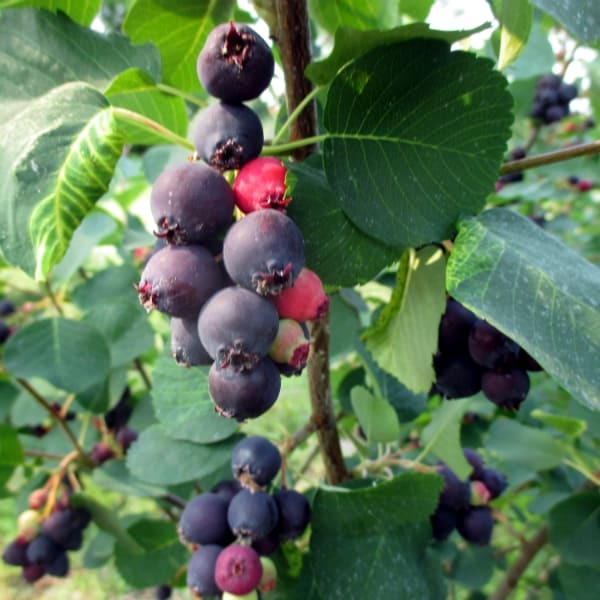 Besides their unique, awesome taste Saskatoon berries may very well be the next big “superfood”. They are said to be higher in antioxidants than even a wild blueberry. They are also high in fiber. And with a real push for these types of “superfoods” there is potential for a big boom in the Saskatoon berry market in the coming years. 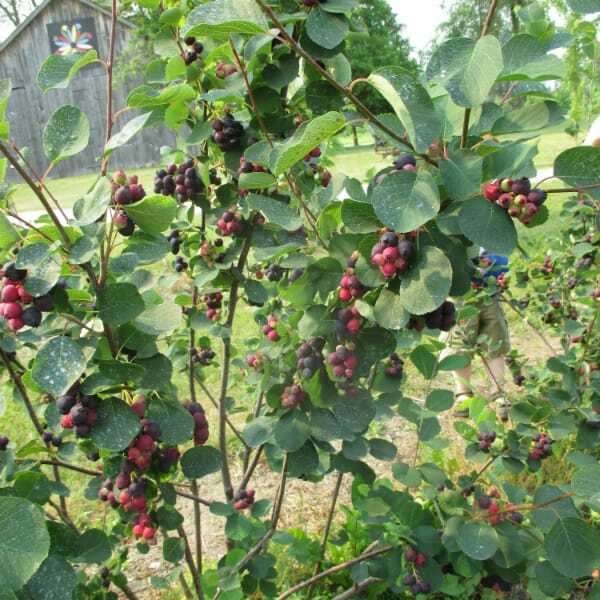 Saskatoon berries are native to North America, growing in the northern climate from Maine to Alaska and across Canada, so they can take some serious cold. Amazingly they are are related to an apple than a blueberry (just look at the shape of their leaves). They grow as a deciduous shrub that can get as high as 16 feet. 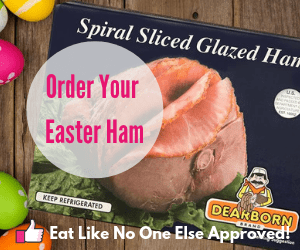 Unfortunately for me I only got one package last season and I think the pack I bought was sitting on the store shelves for a little longer than ideal as the texture of some of the berries as soft. I knew then I had to feature them on the blog. Fast forward a year to July 2015. The timing worked out for me to take a trip up the Mitten to Williamsburg, Michigan to give Saskatoons another try, but this time I got to pick them right off the bush. On Sunday, July 5th, I visited the Saskatoon Michigan Farm and Nursery in Williamsburg, Michigan. 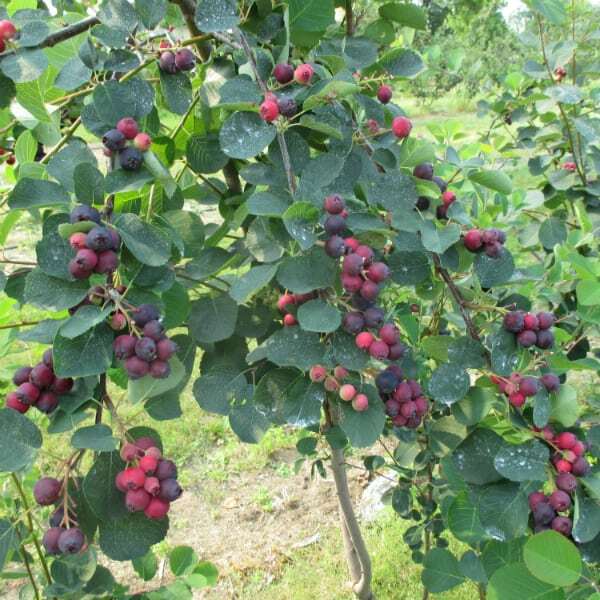 The farm is the home of Steve DuCheney, who 6 years ago when the economy took a downturn decided to use his property to plant Saskatoon berries as another source of income. He now offers his berries for u-pick and sells them in local stores. 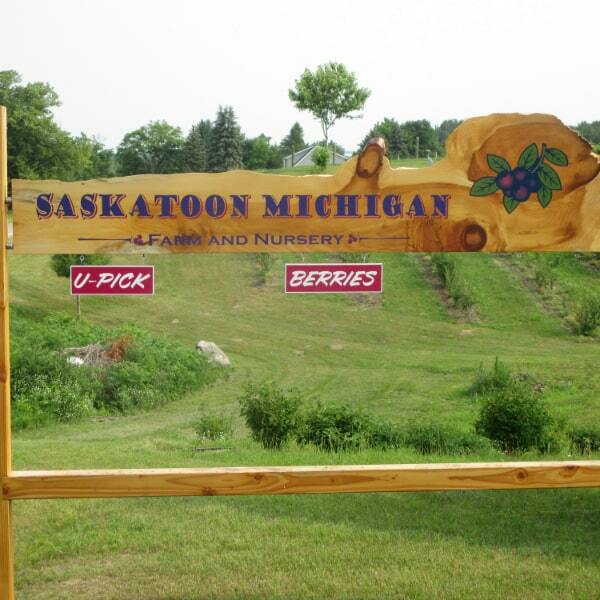 U-pick is by appointment, check out the website for contact information. 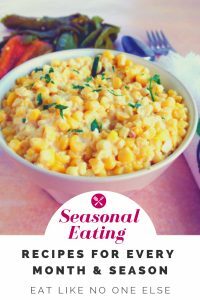 Season began on July 4th and should last 2 to 3 weeks. My family had a tremendous time picking the berries on an ideal sunny morning in beautiful surroundings. You will be able to read more about my experience in my upcoming new e-book series “Fruit of their Labor” to be released in August 2015 (a little teaser for ya!). Here are the stores that Steve is supplying to this year. He also has value added products such as pie fillings that are just starting to hit store shelves. 1. 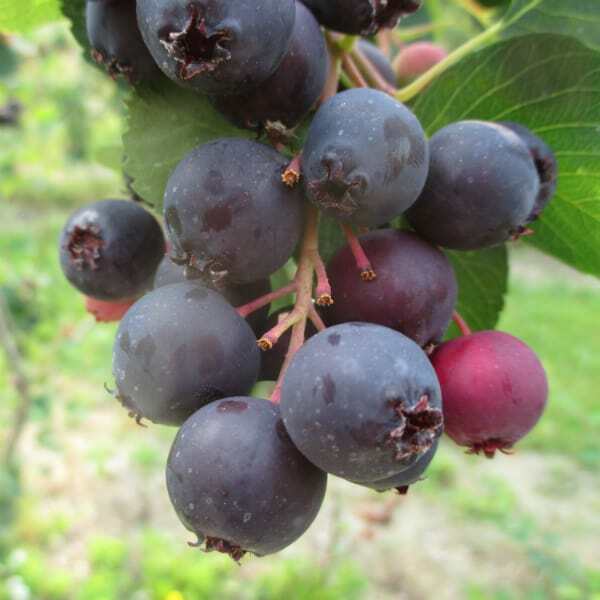 AJ’s Berry Farm of Lachine, MI (near Alpena) has a crop this year for you to pick or buy in their market along with jars of Saskatoon jam. 4. Jacques Orchard in Hemlock, MI has bushes planted but not producing a crop yet.